Flood traps miners in Zimbabwe after dam bursts - SABC News - Breaking news, special reports, world, business, sport coverage of all South African current events. Africa's news leader. 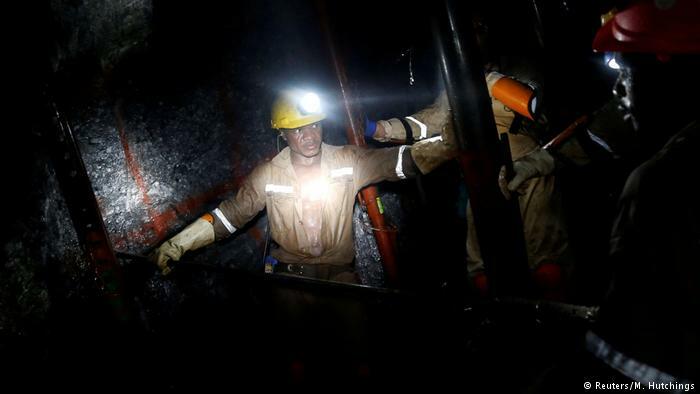 At least 23 illegal miners are trapped and feared dead in Zimbabwe after shafts and underground tunnels they were working in were flooded by water from a burst dam, a state-owned daily newspaper reported on Thursday. The Herald said illegal miners in Battlefields, 175 km west of Harare, had entered shafts on land owned by Rio Zim and another firm on Tuesday night in search of gold but a damwall nearby collapsed, flooding the shafts and tunnels. “The names of the people believed to have been trapped hasreached 23. Chances of rescuing any survivors are very slim,” the paper quoted Fortunate Muzulu, the administrator for the area, as saying. Rio Zim spokesman Wilson Gwatiringa said the company was not mining on the land where the miners were trapped and was assisting government officials with the rescue efforts. Small-scale gold producers, including illegal miners, accounted for nearly 60% of the record 33 tonnes of gold produced in Zimbabwe last year, according to official data. This entry was posted on 14 Feb 2019,12:58PM at 12:58 PM and is filed under Africa, News, Homepage Latest Stories Slider. You can follow any responses to this entry through the RSS 2.0 feed. Both comments and pings are currently closed.